We're still on track for our October opening so things are getting really REAL for us at Magnolia Green Golf Club! Under the roof mechanical items such as electricity, hvac, and plumbing are complete. We have started dry walling in the pro shop and will quickly be moving on to other areas of the club. Stone has been started on the staircase and other exterior spots of the building! The chef has been hired! He started this week! More details to follow. We'll shortly be starting on the wedding lawn. We can't wait to share more details as this project continues to come together. Grand opening events are being planned and as soon as we're able we'll share those, too. Look out for more bi-monthly blog posts towards the end of this month! There's a few photos attached to this blog. 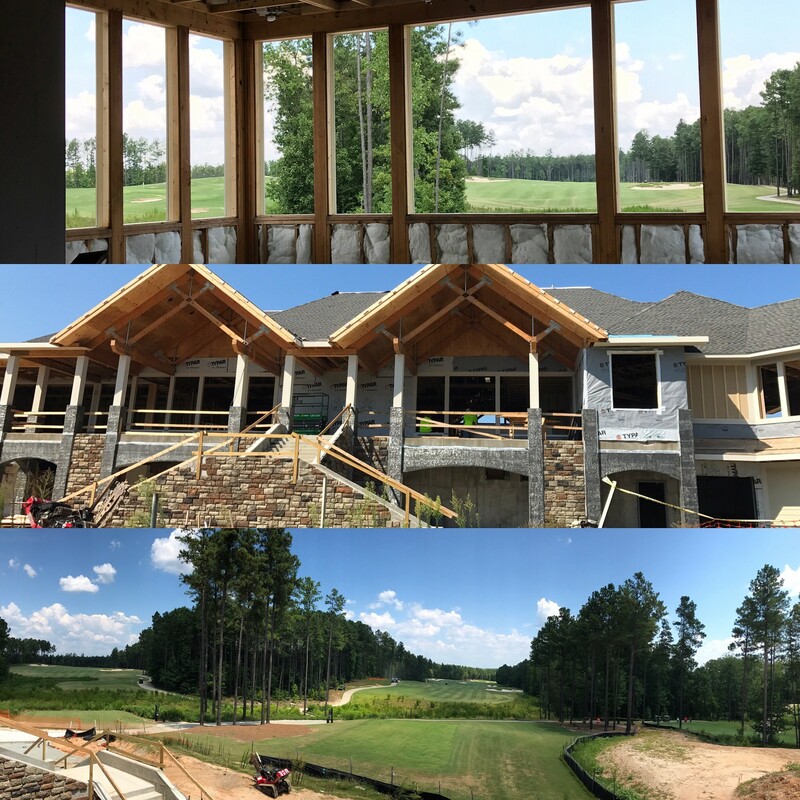 The collage shows the new pro shop view, a current photo of the clubhouse and the VIEW from the new patio!!! 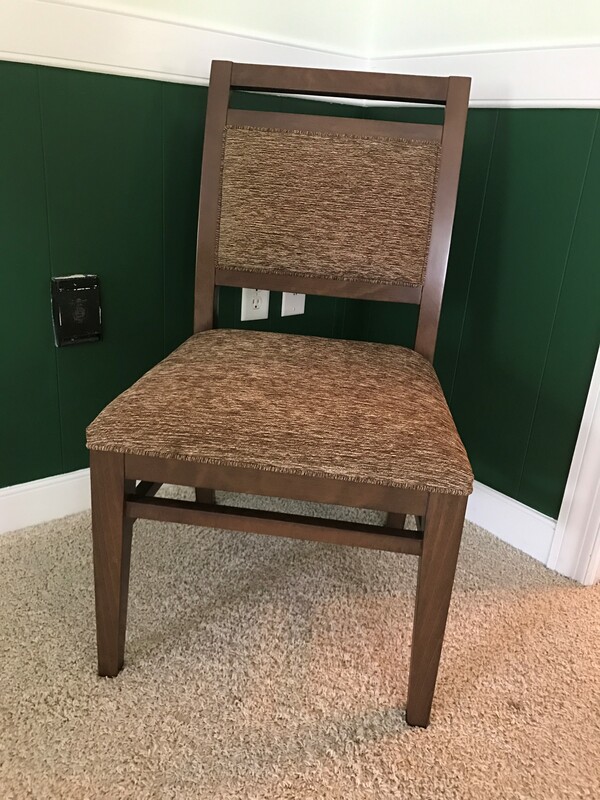 The chair is what we'll be using in the clubhouse for seating - it's super comfortable, too. Membership continues to grow as numbers are now into the 200s! If you’re still interested in residency membership, please don’t hesitate to reach out about our pre-clubhouse opening specials! There truly is no better time than now! For more information on Golf Memberships or booking events, please reach out to our Director of Sales, Casey McNutt at 804-639-5701 x7. Cheers!